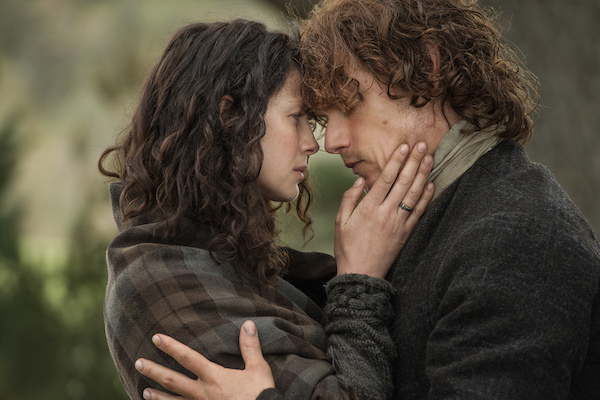 "These are dangerous times, Mo nighean donn," Jamie tells Claire at the start of the new featurette for Outlander. He's not joking either, as the video later shows Claire at the mercy of Captain Jack Randall. Fortunately, Jamie is there to rescue his Sassenach, as we see him crouched in the window, thanking him to take his hands off his wife. It also looks like Geillis is demanding some answers. Is Claire ready to give them? 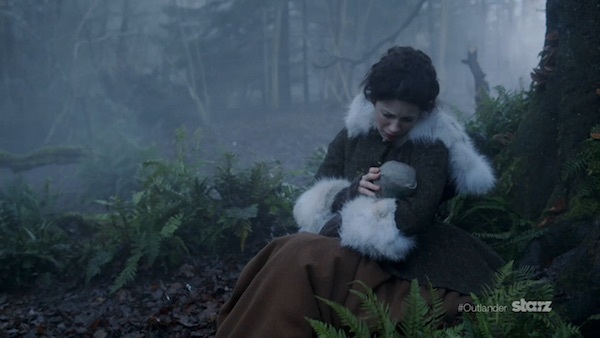 And Claire with... a baby? It all leads up to Sam Heughan telling fans, "If you enjoyed the first half of the season, the second half of the season is a lot darker."